Dear Readers, enjoy the insights this book has to offer to help you to remember to run in an easy, light, and smooth way, with or without footwear of your choice. It is about form, joy, and the love of running. Run free! Michael Sandler has applied his passion and insights into barefoot running in a way no one else has so far. You are holding in your hands a book as exhaustive and accurate of a description of barefoot running as you could ever hope for. Barefoot Running by Michael Sandler is the best book on the market on how to begin and excel at barefoot running. I highly recommend it. Barefoot Running arrives on the crest of a major paradigm shift in the world of running as, once again, we come to realize that nature is indeed best. Michael Sandler’s exhaustive treatment of the topic celebrates the amazing evolutionary success that is the human foot and serves as comprehensive user’s guide for its rehabilitation and proper maintenance. Dr. Michael Nirenberg More and more professional athletes and runners are discovering that once they have mastered running barefoot or in minimal footwear, they tend to have less injuries than when they wore shoes. So was the case for professional athlete and Coach Michael Sandler. In his recently released book Barefoot Running, Sandler spells out the life-altering benefits of giving up expensive running shoes, and backs up his claims with scientific fact. Essentially, Sandler’s book is a great follow up to Born to Run by Christopher McDougall. 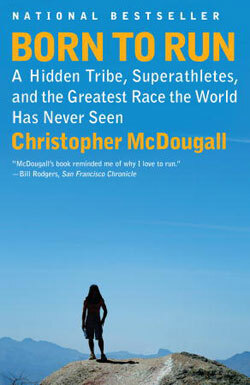 Sandler takes McDougall’s observations of the Tarahumara Indians amazing ability to run many miles regularly in flimsy sandals (Huraches) and adds the science of barefoot activity and a reasonable training regimen, and much more! Sandler’s personal journey to barefoot running began with his realization that fewer injuries occur in less expensive running shoes than expensive ones, that there is a higher impact on the body in shoes than out of shoes, and balance is better in thinner, less cushioned shoes, and lastly, children who did not wear shoes were less likely to have fallen arches or other foot deformities. Starting slowly, Sandler describes his successful transition to barefoot running. Barefoot Running is a comprehensive book, covering everything you could possibly want to know about barefoot running. Among the topics Sandler addresses: Barefoot running verses running in shoes, the philosophy and science of barefoot running, how to run barefoot, stretching exercises, foot care tips for barefoot runners, dealing with weather extremes, nutrition, minimalist shoes and much more. The book itself is well organized, beautifully designed and printed with an easy to read text, high quality paper, and great photographs. Critics of Sandler’s book will say that the scientific fact for barefoot running is thin, and it is, but scientific evidence that expensive, thickly cushioned running shoes are better for you is even thinner. by Ray McClanahan, D.P.M., BS Ed. The question is no longer, should we be barefoot? It is, how often, and how much? Dr. Ray McClanahan After years of chronic running injuries, I decided to attempt to heal my feet and legs by running barefoot, and in minimal footwear. I stepped on glass and metal fragments. I broke a toe while descending a mountain in Vibram 5 Fingers. I contracted hookworm while barefooting in Mexico. I bruised metatarsal heads, by landing on sharp rocks. My feet got tired and sore. Yet, in spite of all of these temporary setbacks, I still choose barefooting and minimal footwear, over my previous experience of chronic injury and pain, while attempting to run fast in conventional running footwear. 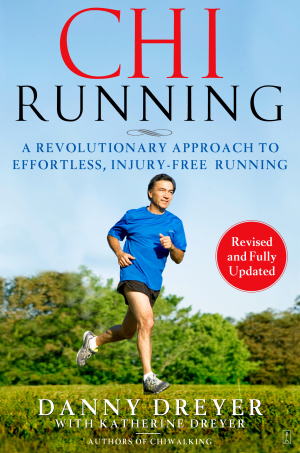 When you begin to experience in your own body, how running naturally is supposed to feel, you will understand why this book is so important for your wellbeing and longevity. The good news is that Michael and Jessica have provided a guide to help you avoid and minimize the problems associated with awakening your feet and your body, by embracing your bare feet. The question is no longer, should we be barefoot? It is, how often, and how much? Barefoot Running is the best current synopsis of the evidence of the benefits of aware feet, and the most logical guide to attaining them. At age 43, I am just learning how to really run. Thank you Michael and Jessica for your guidance and leadership. I used to experience the so called, Runner’s high, every couple of years, and was amazed at the power of the euphoria to relax the body and create a true appreciation for running. Now, by implementing the recommendations of Barefoot Running, I realize that this experience need not be rare and elusive, but can be cultivated regularly by feeling the ground with our feet. Start now, and begin to heal your feet. Your body will benefit tremendously. ~ Ray McClanahan, D.P.M., BS Ed.